Neematic is a newcomer to the electric bike market, but their first model, the FR/1, looks like anything but a first effort. Under development for three years, the FR/1 is both functionally and aesthetically exciting. Combining features from both mountain and dirt bikes, the FR/1 sports an aluminum trellis frame with monoshock rear suspension and Fox 40 front forks. A 2.2 kWh Li-ion battery provides loads of low-end torque, and powers the bike up 62 MPH with a range of 30-60 miles on a single charge. Other top-shelf components include Hope Tech V4 hydraulic calipers and rotors, fully-enclosed Pinion gearbox, and DMR pedals. Neematic is starting production and plans to offer preorders sometime in 2017. Building on the technology debuted in the X3 concept, the Airbus Racer Helicopter is designed to be wickedly fast and highly efficient. It pairs a primary top-mounted rotor with two lateral pusher rotors for a cruising speed of nearly 250 mph. The lateral turboshaft engines sit inside a box-wing that provides added lift, while the hybrid metallic-composite airframe reduces weight. Final assembly of the demonstration model is slated to begin in 2019, with the first flights planned for the following year. Croatia is home to over 1,000 islands. Most are only accessible via boat. Which makes it a perfect place for UberBoat. This add-on to the ride-sharing service lets you summon a vessel and captain on-demand, day or night, from Split, the Split airport, Hvar, or Dubrovnik. The service begins June 26 and runs through the summer, and options are available for groups up to 8 or 12, with half- and all-day rentals also available. Designed in collaboration with architect Nikos Manafis, the Marvel 41C Boat was originally conceived as an armored security vessel meant to watch over larger yachts. In reality, it's a luxury transport for up to 18 passengers that can also double as an on-the-water bodyguard. Capable of traveling long distances at speeds up to 50 knots, this RIB can be configured with either two 425 hp 6.7L Cummins diesel engines hooked to Konrad stern drives, or with dual 350 hp Verados outboard motors. Thanks to an enclosed seating area, it's ideal for use in any climate, and its angular design commands respect no matter what purpose it's serving. It's not a flying car. But the Neva AirQuadOne Flying Vehicle might be your most realistic bet for a personal airborne craft you can use in the near future. As opposed to other solutions that require groundbreaking technology, the AirQuadOne uses proven components like a rechargeable battery pack and a series of electric turbofans for propulsion. You straddle it like you would a bike, with vertical takeoffs and landings substantially increasing the number of places it can go, and a 25-mile range making it ideal for daily commutes. The company is currently working with regulators in the US and EU to get light aircraft certification. A bike is the preferred method of environmentally conscious transportation to get a little exercise. But if you've got more than a backpack to haul, it's not a great option. 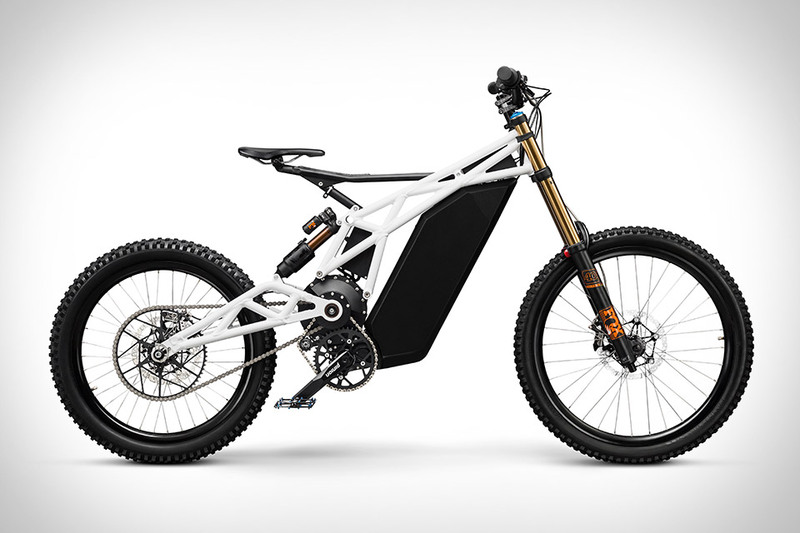 The Load E-Bike from Rises & Muller is not only equipped to handle a load but does it with a Bosch performance electric motor as well — allowing you to take off and conquer hills effortlessly. The storage bay up front features a low center of gravity and rigid trellis frame and is capable of carrying luggage, groceries for your crew, or even a couple of kids. All without obscuring the rider's line of sight. It comes with a standard 500-Wh battery, but you can add another one for 1,000 Wh of power to double the range, and both can charge at the same time from a single charger. Lined inside and out with mahogany, the Tonke Classic Woodline Camper combines classic looks with modern convenience. A Mercedes Sprinter serves as the underpinnings, with an optional unloading system to give you use of the truck when camping. Inside, there's a large marine double-door fridge, a spacious sleeping area, kitchenette, and an area to enjoy a morning cup of coffee. It's also entirely solar powered, with large battery banks and water tanks for extended use off-grid. And while it's built in the Netherlands, it also separates for easy sea container transport, letting you take it pretty much anywhere in the world.